A radio station has gone into liquidation following an extraordinary general meeting. Shareholders of Radio Maldwyn, which has been broadcasting from a studio in Newtown, Powys, since 1993, were sent a notice of insolvency last month. The meeting approved two resolutions - to wind up the company and to appoint liquidators. The meeting heard a number of companies and a community group have declared an interest in buying Radio Maldwyn. The station's presenters stopped broadcasting last month and back-to-back music has been aired ever since. Newtown councillor and station shareholder Russell George said: "Gerald Irwin, the appointed liquidator informed the meeting that his advice was that shareholders should accept the recommendation to wind up the company and went on to say that he had received four expressions of interest. "Radio Maldwyn offered a good service throughout the mid Wales area and it's sad that the station had to be wound up. "People particularly missed the stations news updates during the adverse weather with people tuning in to find out what was going on, but only hearing music being played back-to-back. "I am pleased that there have been expressions of interest to take on the running of the station. What is important to me is that we continue to have a local radio station and I intend to make my own enquires and help to facilitate this." 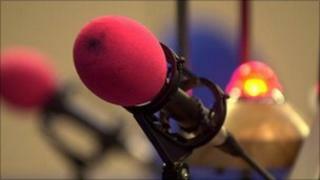 Powys council is understood to own the station's studio in Newtown, which has been rented to Radio Maldwyn.